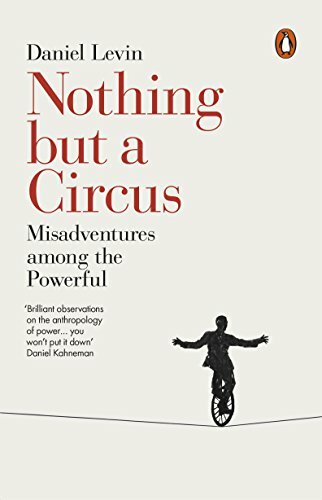 In this eye-opening exploration of the human weaknesses for power, Daniel Levin takes us on a hilarious journey through the absurd world of our global elites, drawing unforgettable sketches of some of the puppets who stand guard, and the jugglers and conjurers employed within. Most spectacular of all, however, are the astonishing contortions performed by those closest to the top in order to maintain the illusion of integrity, decency, and public service. Based on the author's first hand experiences of dealing with governments and political institutions around the world, Nothing but a Circus offers a rare glimpse of the conversations that happen behind closed doors, observing the appalling lengths that people go to in order to justify their unscrupulous choices, from Dubai to Luanda, Moscow to Beijing, and at the heart of the UN and the US government.